Home » Inspiring » A juice company dumped orange peels in a national park. Here’s what it looks like now. In 1997, ecologists Daniel Janzen and Winnie Hallwachs approached an orange juice company in Costa Rica with an off-the-wall idea. In exchange for donating a portion of unspoiled, forested land to the Área de Conservación Guanacaste — a nature preserve in the country’s northwest — the park would allow the company to dump its discarded orange peels and pulp, free of charge, in a heavily grazed, largely deforested area nearby. One year later, one thousand trucks poured into the national park, offloading over 12,000 metric tons of sticky, mealy, orange compost onto the worn-out plot. The site was left untouched and largely unexamined for over a decade. A sign was placed to ensure future researchers could locate and study it. 16 years later, Janzen dispatched graduate student Timothy Treuer to look for the site where the food waste was dumped. 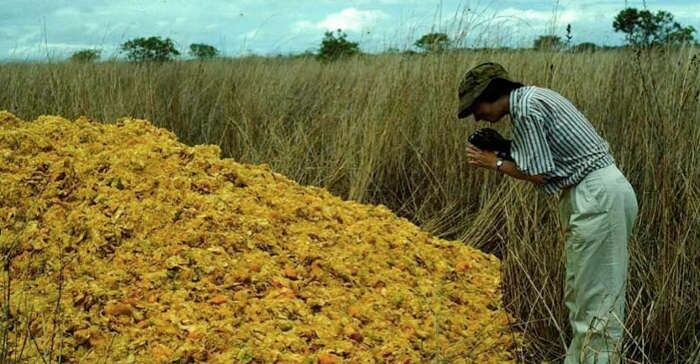 Source: A juice company dumped orange peels in a national park. Here’s what it looks like now. Every business should be required (by their own business processes) to recycle their waste in a way beneficial to Earth ecosystems.